Questions about Kichler Lighting 45162OZ? 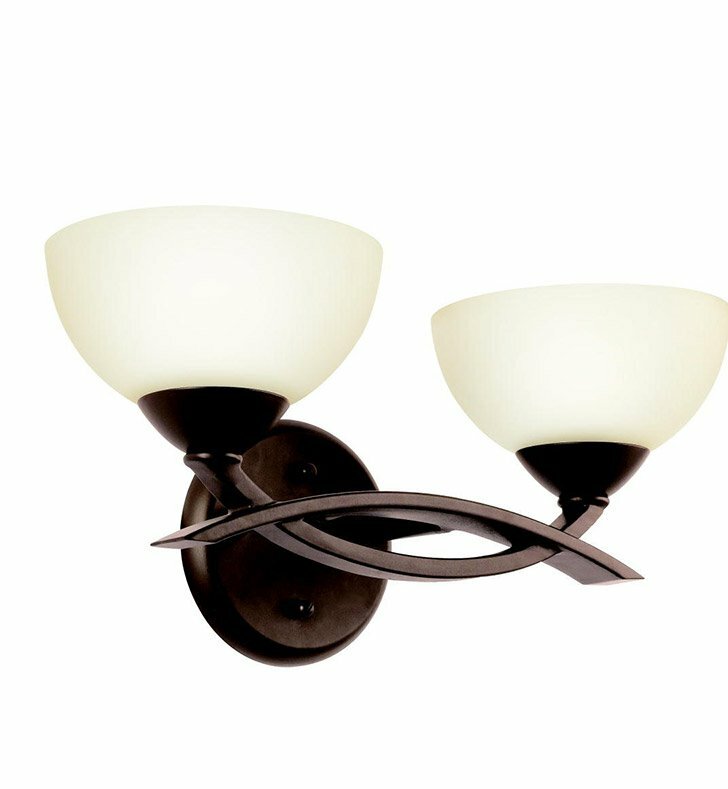 Both sleek and contemporary and warm and classic, the transitional Kichler Bellamy Collection features sweeping intersecting arms and classic bowl shapes, in a lustrous Olde Bronze finish with flawless Satin-Etched Cased Opal glass. This 2 light bath light is 7.5 inches in height, 15 inches in width and has an extension of 7.5 inches. It can be hung with the glass up or down and when installed with the glass up it rises 4.75 inches above the center of the wall opening. It uses a 60W max (C/K) krypton bulb (included). It is UL listed for damp locations. Dimensions: H 7 1/4" x W 15"